Tired of the same team outings doing bowling or ropes courses? 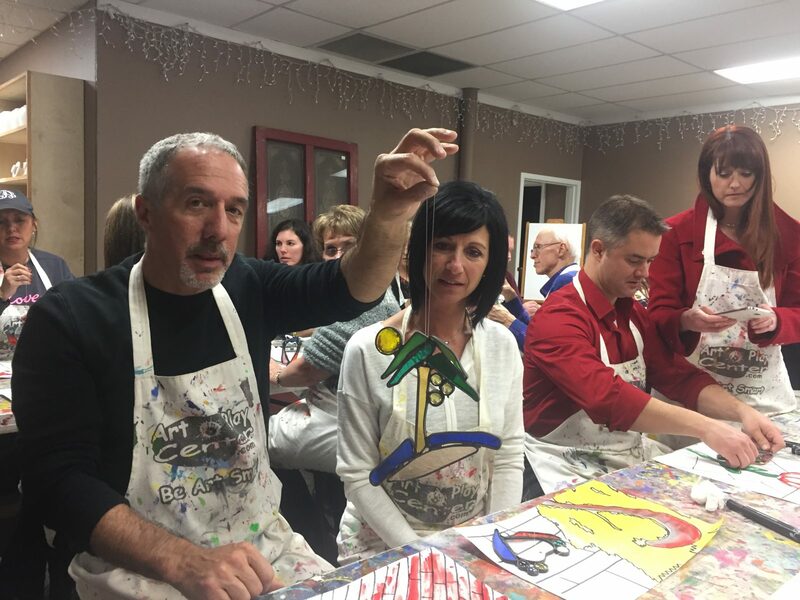 Give your group a creative outlet while learning new fun skills at The Tulsa Stained Glass Co.! Multiple project types and class durations are available. Book your date early for the best options. In our Art Glass Experience, participants are challenged to overcome fears as we encourage their confidence with glass cutting, soldering, and design. Individuals foster their team-building cooperation through decision-making and interpretation of abstract concepts. And everyone gets to take home his or her priceless, one-of-a-kind creation! 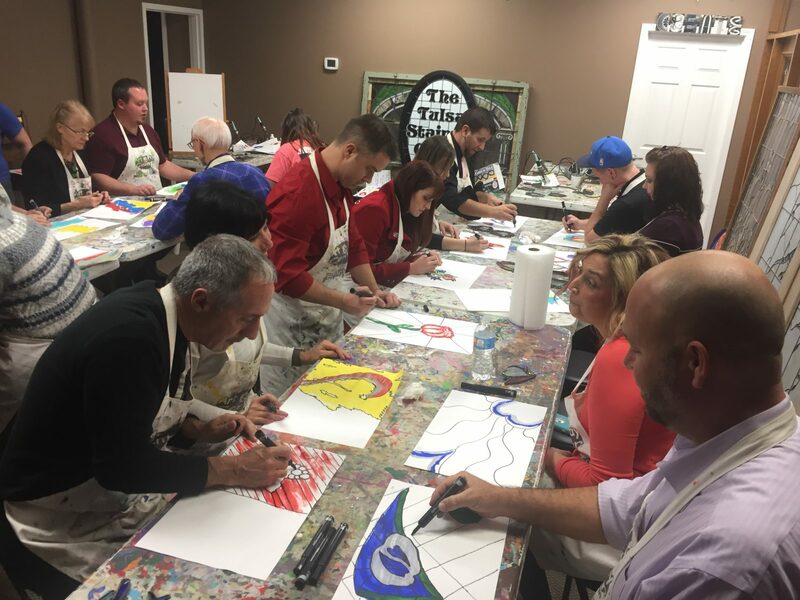 Our team building DoodleBohmBa program is a mixture of spontaneous painting and design woven with hands-on crafting activities to accomplish the organization’s goal. The objective is to open communication and discovery leading to innovative solutions. One result of this process is the team building a craft project to take back to the work place, donate, or take home. The program contains a discussion of the creative processes of design and crafting techniques. Activities include evaluating their artwork and building their craft project. Many types of crafting projects are available; however, stained glass has been our specialty since 1975. Our stained glass Garden Spirit Sculpture classes are the most popular, and take a minimum of three hours to complete. Participants learn to create harmony from an otherwise chaotic painting; they cut glass, select glass by color and shape for their project. Then they wrap, solder, and patina to complete their Garden Spirit. Under the skillful leadership of founder and program developer Richard Bohm, teams are given the opportunity to tell their story of lessons learned and practical application. The Tulsa Stained Glass Co. supports the embodiment of your organization’s mission statement through the exceptional world of art glass. No other gathering offers such a therapeutic outlet of expression. Book today for an unprecedented experience that your group will be talking about for years to come!